Now you have to catch up with me to pick them up, hehehe! A couple of weeks ago we decided that it was the right time to sell our house. And we decided that we would rent for a while and not make any rash decisions about what we did next. Take time to decide if we wanted to buy again (hopefully when the property market slumps a bit, lol) or look for land and build (I married an architect, I may as well get free house plans out of him, lol). We were not going to go to any Open Homes and fall madly in love with unsuitable properties, hell no! So I won't mention the superbly renovated character bungalow we saw today that is quite possibly my Dream House. Nope, not gonna go there. Going to weep quietly into my pillow tonight instead about crap timing and stupid emotional responses to bits of wood and paint and wake up with no memory of said Dream House. Sigh. On the win side however, we have finally booked the flights for our trip to Melbourne in September - woohoo! And we got a total bargain as Jet Star were having a 3rd birthday sale - buy one flight and get the second for $3. Yep, three bucks! I love me a bargain. I am already hunting down quilting and knitting stores so any recommendations gratefully received. And now, in order to restore Nora's equilibrium after sending a small ripple through her monochromatic world with the Fleece Artist 'Paris' pic, here is my 3 skein haul of Sundara Yarn; these are so gorgeous I don't know which one to start with! I may have said this in another post but it bears repeating. 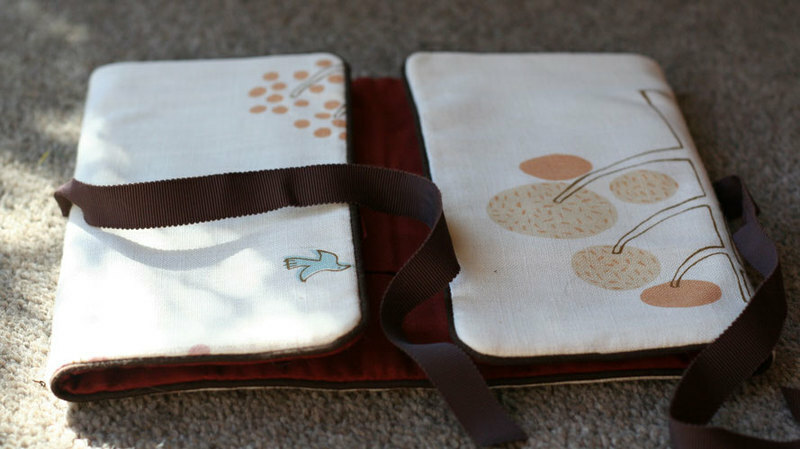 For me, crafting is not just about the finished objects but about the process. Perhaps the process more than anything else. And because the process is so important so are the raw materials and tools that are used during the process. The exponential growth of my yarn stash since February of this year is testament to my lust passion for gorgeous raw materials. But I have also been aquiring some pretty fabulous tools as well. 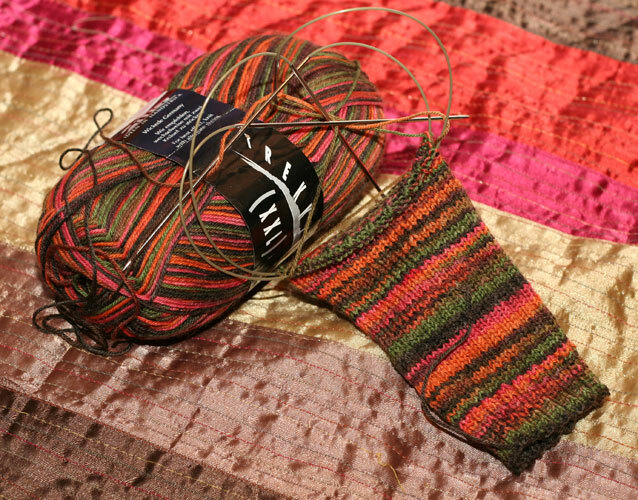 My favourite needles for general knitting are Addi Turbo Circulars and when I decided to try knitting socks with two circs I started the quest for small size Addi's immediately. 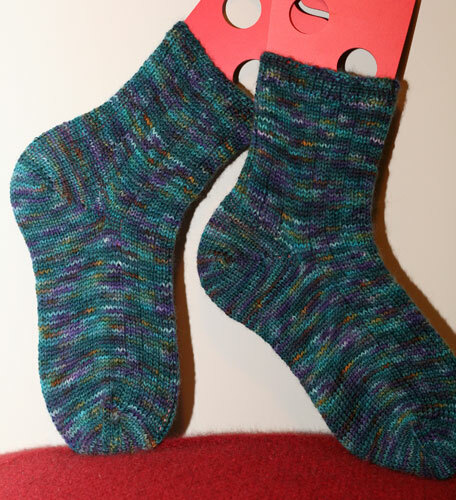 And I have greatly enhanced my needle options for both socks and general knitting thanks to this awesome Ebayer. 6 pairs for US$36! Once I had all those circs and my existing stash of dpns I needed some way to store them and my pink Elmer pencil tin just wasn't cutting the mustard. And then I found the fabulous Jen from Honeycake Designs and my search was over. 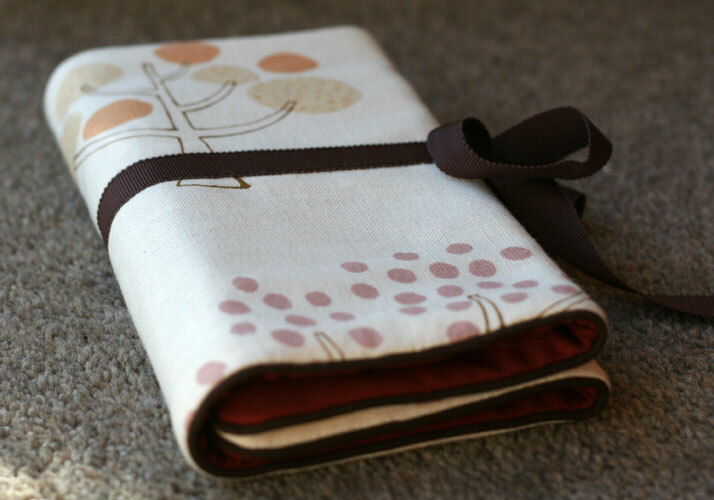 I chose this fabulous Japanese print with brown piping and lining. I love it! 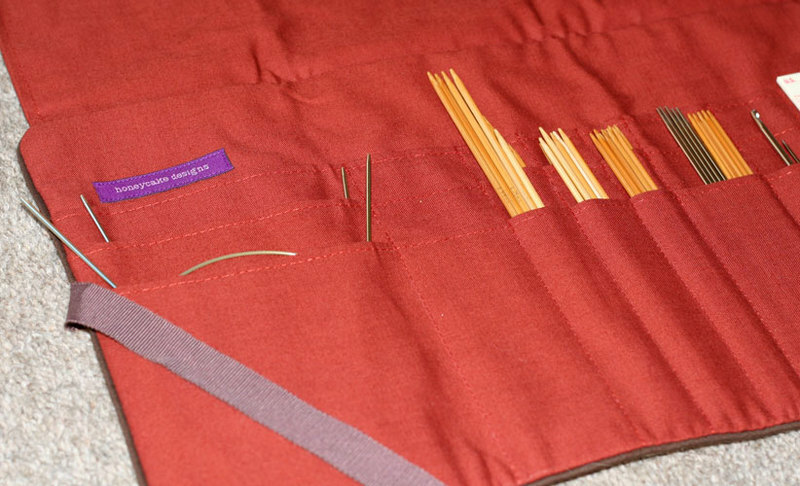 Jen makes cases for regular needles, dpns, circs, crochet hooks, and combinations of all the above. Her sewing is exquisite, with perfect finishing. I expect to be usig this beautiful case for a very long time.